We help pediatric practices achieve clinical and financial excellence by providing the tools and services that foster true independence and efficiency. Below are many of the outstanding benefits your pediatric office will experience when you join the PCC community. Unlike other vendors, PCC is an EHR and medical billing software company focused solely on pediatrics, devoting all our resources to the issues that matter most to independent pediatricians. We regularly engage with our Pediatric Advisory Board, stay current on the latest developments in pediatrics, and offer world-class resources to our clients. Our singular focus helps us continue to have the highest client satisfaction ratings in the healthcare IT industry. We serve a broad, national pediatric community, from single practitioners to large, multi-practice groups. Our unique network of professionals collaborates online, in their regions, and at our annual conferences. It’s a highly engaged community that shares ideas and elevates everyone. PCC is active in the pediatric industry, regularly presenting at national seminars and sponsoring a variety of pediatric publications, including The Independent Pediatrician magazine. Our expertise, commitment and thought leadership has given pediatricians a better way to handle practice management for over 30 years. With PCC, you get instant insights into the financial and clinical health of your practice. Our Practice Vitals Dashboard is your daily at-a-glance overview, providing easy-to-understand charts and scores, and organizing your most pressing top-level priorities. These analytics help you stay on top of what’s happening in your practice and what may be affecting your bottom line — insight that is critical to your success. Our world-class service is what we’re known for at PCC, and we consistently outrank our competitors with our near-perfect score for personalized support. We’re a trusted partner who stands with your practice, giving you the real-person attention you deserve and the solutions that are right for you. Your patient families expect a smooth experience with your practice, with as little waiting and uncertainty as possible. To deliver the most efficient pediatric care possible, you need an EHR with quick, robust connections to vital assets in the healthcare industry, including immunization registries, e-lab results, and electronic claims submission. PCC delivers a broad range of interoperability connections to the most relevant systems to your pediatric needs, and adhere to strict healthcare industry standards and requirements. To provide true peace of mind, we’ve designed our system with a simple pricing model. 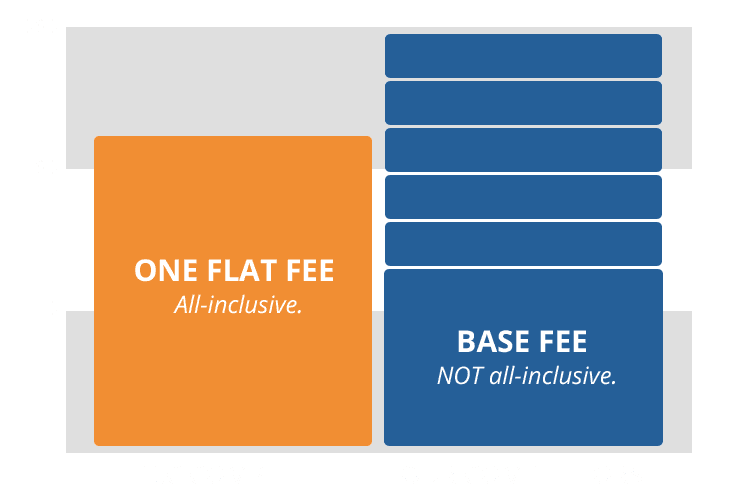 PCC Complete is an all-inclusive EHR and medical billing software solution that includes all service, support and resources you will ever need, making your life easier and your expenses predictable. At PCC, we are committed to the long-term success of our pediatric clients. That’s why we’re much more than a healthcare software company. We’re your expert partner, providing a wealth of free, up-to-date educational resources for continuous learning, from timely clinical issues to regulation compliance and advances in technology. Our national network of PCC clinicians is a valuable resource from which to draw information and inspiration, and we provide an easy interface for peer-based exchange. Discussions cover a variety of topics such as pediatric EHR and billing practices, insurance challenges, pediatric practice efficiencies, and clinical questions. When you choose PCC, we’re with you every step of the way, from the decision-making process, to implementation, and beyond. We’ll help you practice better medicine, run a better business, and free up your time. We support you so you can focus on supporting your patients. Take a look at our intensive implementation process and compare the services offered. Unlike other vendors who only visit your office for sales presentations, PCC’s implementation process provides FREE onsite training and go-live assistance. Our onsite implementation team delivers the guidance during the entire process. Our implementation process supports you with the relevant setup, configuration and direction you need, while allowing you to proceed at your learning pace. Most importantly, we won’t let you fail. That is our promise.